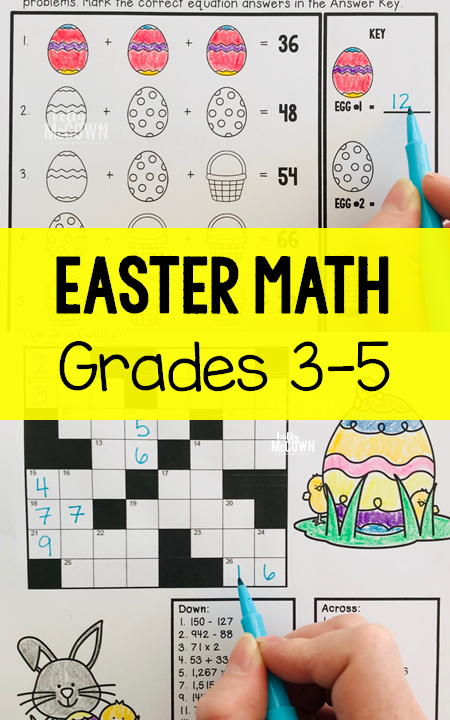 Do you want to review math skills for Spring? Do your students need an Easter Egg challenge? This Easter & Spring Elementary Math Activities NO PREP packet that will keep your third, fourth, and fifth graders engaged! This packet is just plain fun. Not only is it PACKED with grade level common core math problems, it also gives students fun coloring, puzzles, and problem solving. Use this packet for bellwork, classwork, extra credit, fast finishers, or homework. 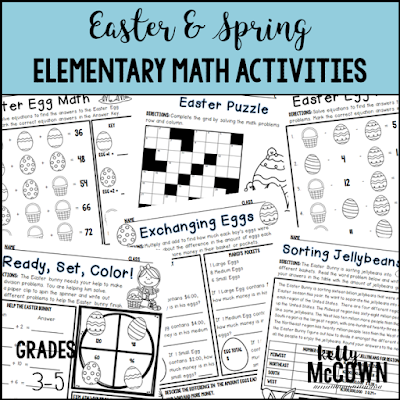 Spring is a great season for renewal and refreshing math skills. Students enjoy the Easter season for the candy and engagement with egg activities. 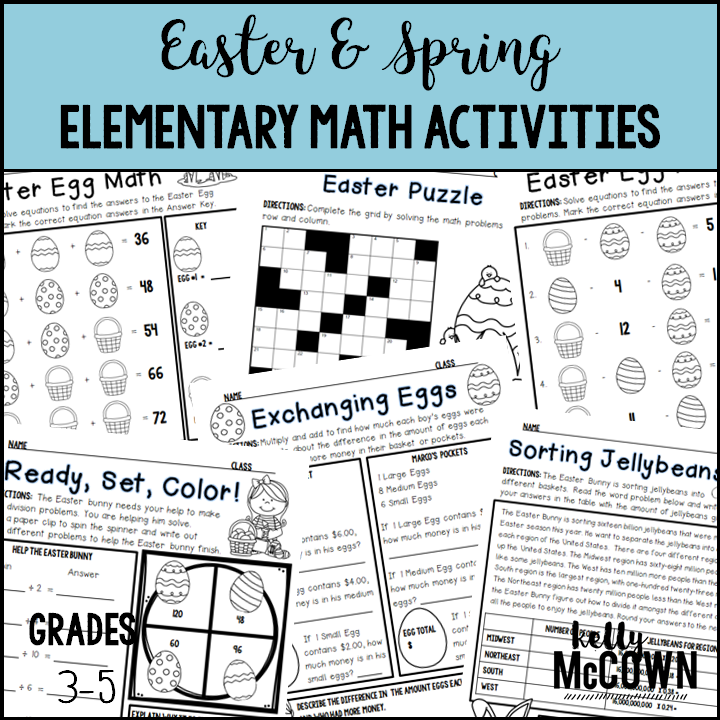 Have fun with your students and make positive math memories this Spring.